The post-it initiatives have been exciting and energizing! We wanted to share with the larger Two Writing Teachers community some of the other discussions that have been happening in our Voxer group and the action steps educators have been taking to promote writing. 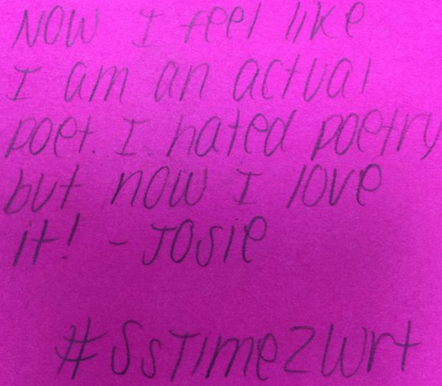 The #Sstime2wrt brought about collaboration with our students across grade levels and geographic areas. 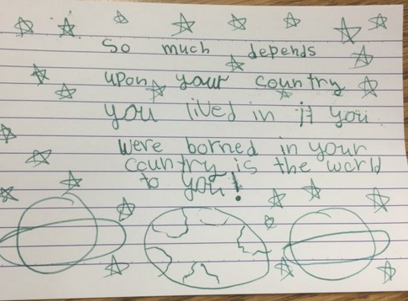 Deb Frazier’s first graders in Ohio and Michelle Haseltine’s 6th graders in Virginia shared their blog posts with each other and Michelle’s students wrote comments, delighting the first graders. 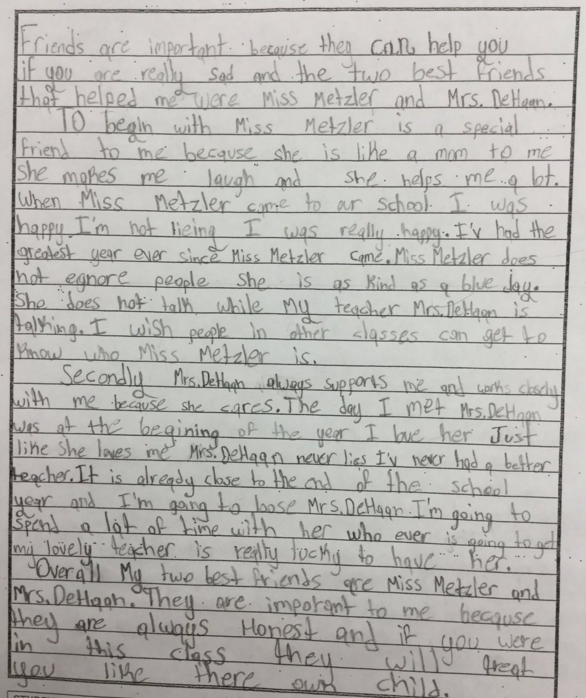 Deb’s first graders composed comments together for some of Michelle’s 6th graders. 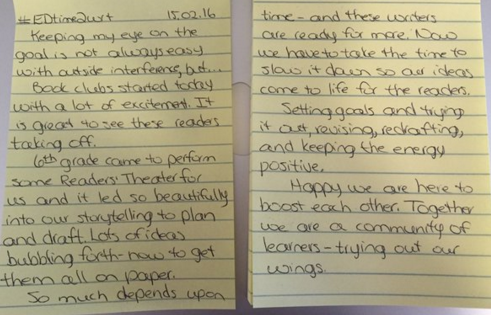 I wish my words here could capture Deb and Michelle’s joyous descriptions of their students’ excitement around this collaboration! It was just incredible to hear how joyful the experience was for the students (and the teachers). 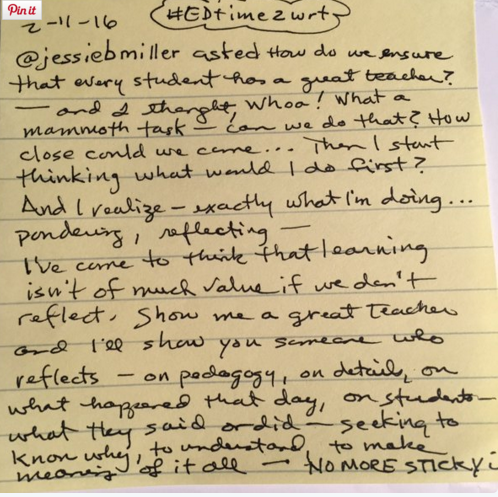 Terrie DeHaan spoke about how writing post-its each day for #EDtime2wrt has made her more disciplined and her student teacher has started writing too! Terrie reflected on the collaboration and passion that is evident in all the teachers sharing and discussing the idea of educators writing. 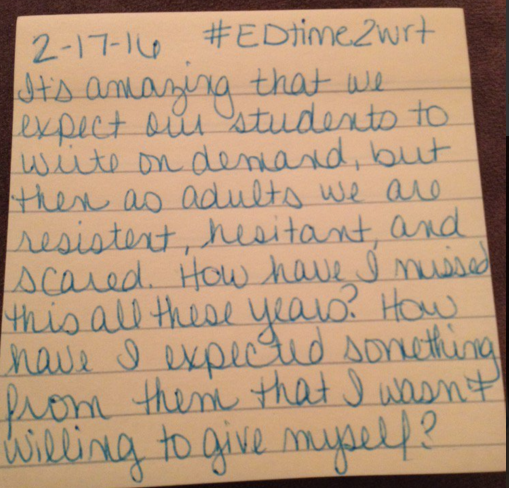 Erika Victor reflected on the impact our discussions have had on her as a writing teacher. She said she is now “more aware, more empathetic, more tuned into the issues and struggles and everything about being a writer.” Erika also shared that she will be presenting a 45 minute workshop on Educators as Writers as part of a Teachers Teaching Teachers professional development. Erika credits Deb Frazier for sharing an idea about hosting a Writer’s Lunch to get students interested in the Classroom Slice of Life Story Challenge, beginning in March. Erika recently hosted a lunch for 12 of her 17 students who expressed interest in the challenge and she bought them new notebooks and pens to build excitement! Reiden Bures shared how she has “restarted” her writing life and finds herself writing in front of her students far more often. 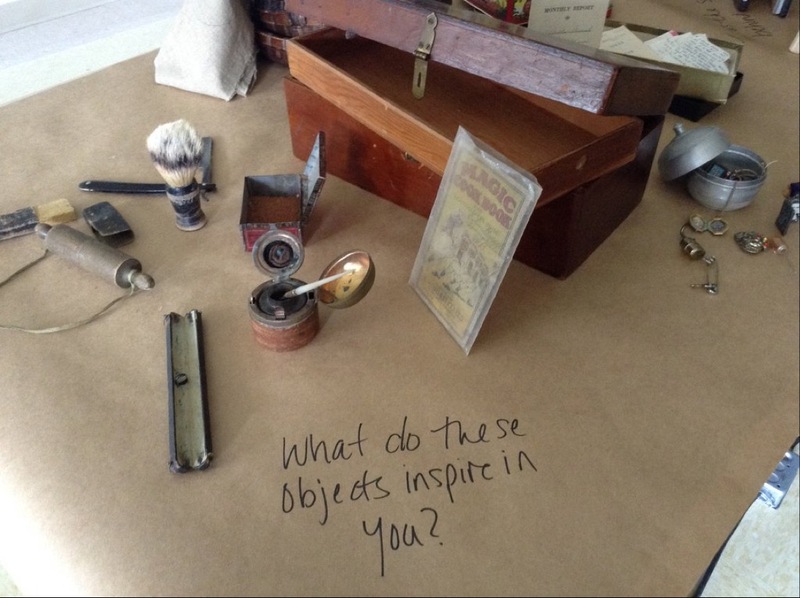 She is blogging more and exploring the idea of a Writer’s Makerspace. 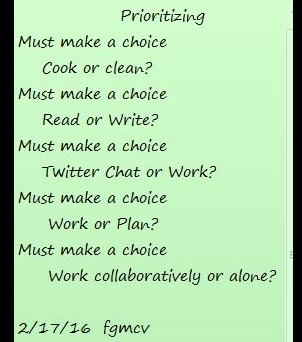 This idea was shared by Jill Davidson (one half of “ShelfieTalk”, with Kim Stewart) in one of our Voxer conversations. 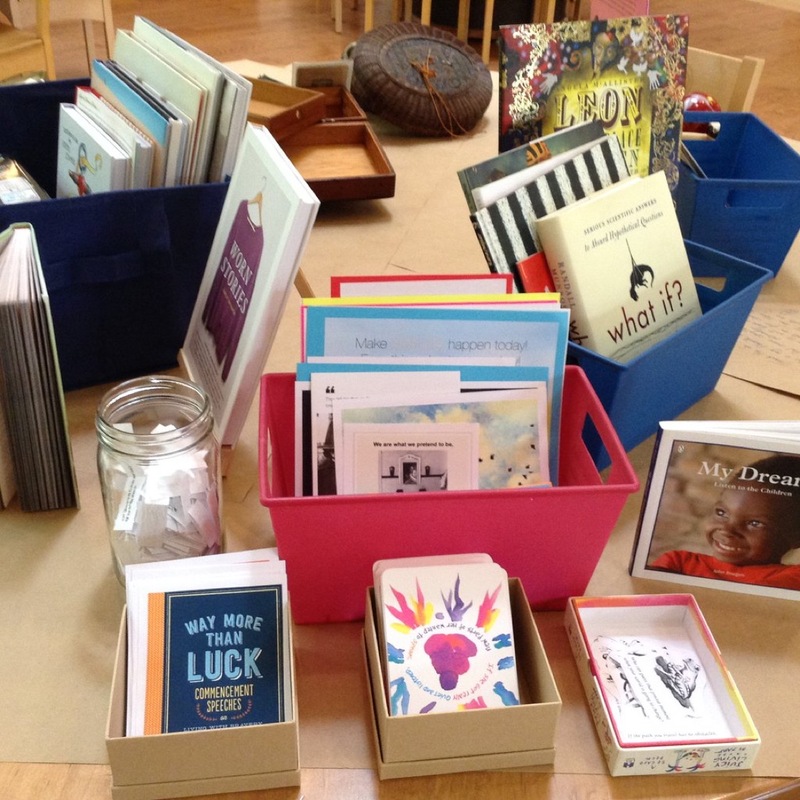 Michelle Haseltine was so inspired by the idea of Writer’s Makerspace, she has jumped right in and will be facilitating a club for students, as well as presenting the idea at the Northern Virginia Writing Project in the spring. 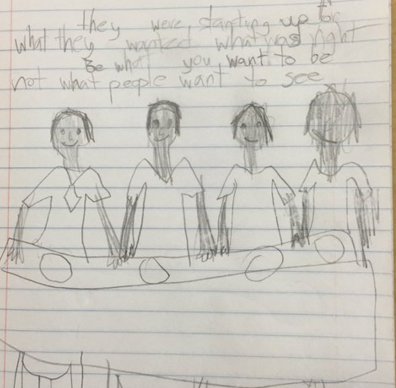 As we’ve been sharing our writing, our students’ writing, and our stories online and in our Voxer group, another idea was born. A new Voxer group was created to explore the idea of collaborating on a book written by us (teachers and coaches), sharing our experiences through the calendar year. 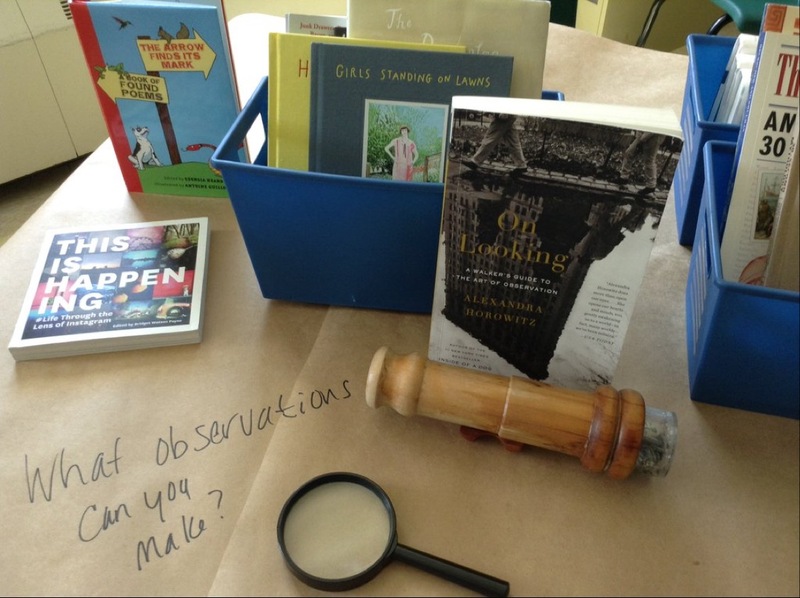 The idea is in its’ infancy and we are dreaming up possibilities and ways it could go, but it is exciting to have energy and momentum around the idea of writing our teaching stories. As I reflect on all that we’ve been sharing, planning, discussing, and implementing, I am so proud to be part of this community. We are planting seeds. Change takes time, but think of all the students who will reap the benefits of being taught by teachers who truly understand and live the writing process. Who value writing. Who give them time to find their own writing voice. Who inspire them with new notebooks and a Writer’s Makerspace and the chance to share their work with other students in different parts of the world. We are helping to make positive changes in our schools, for our students. The conversation continues! We welcome your voice and ideas on how we can spread the word that when educators write, it is a powerful way to help students grow as writers. If you would like to be added to the Voxer group, please email me at mrs.sokolowski@gmail.com and include your Voxer username in the email. Share in the comments any way you have been promoting the idea that educators should write or how you’ve been living a more “writerly life” yourself. And I am reminded that I still have the tabs open from the original post here (and the reading post on Nerdy Book Club). I know I will write about it. Carving out space for my big feelings and emerging thoughts is taking time. 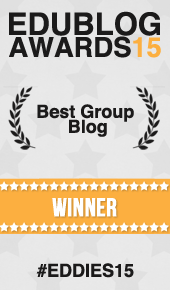 I love hearing about how it has invigorated others! 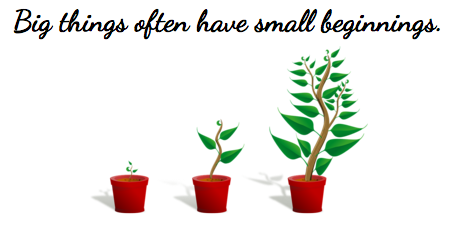 Thanks, Kathleen, for sharing this snapshot of growth. You are an inspiration! Kathleen, thank you for creating opportunities for educators and writers to collaborate. It’s been energizing and inspiring to be part of this community. I enjoyed revisiting all the ideas that have been generated already, and can’t wait to see where we will go. Learning is so much more powerful when we connect with other learners. This has been such a powerful conversation to be part of and I’m honored to be one of the voices. Thank you for pulling these ideas together. LOVE this post! This post is inspirational…. thinking.. hmmm…Question.. voxer newbie.. Do you have to have an iPhone to use the voxer app? Thanks, Kathleen! This is even so much more powerful because you pulled so many of the pieces together for the “collective” view. Thanks for the honor of being included! I’m crying!! What’s new? I am so proud to be part of TWT. It has grown myself and my students to new heights. We can NEVER stop learning!!! I love our Voxer community. There are so many great minds working together towards one goal: nurture and grow writers! Such a great tribute to ‘teachers as writers’ and our new little Voxer community Kathleen!!! !